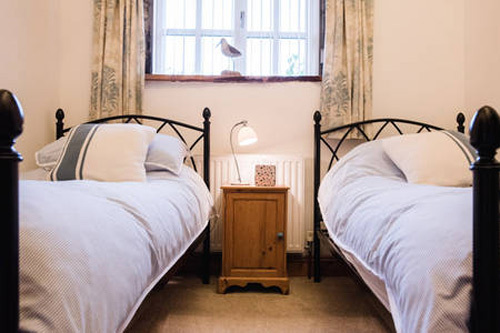 Self-catering Holidays in a rural location, close to Falmouth with far reaching sea views.Thyme Cottage is nestled within an 18th Century farmstead, located 5 miles from Falmouth. 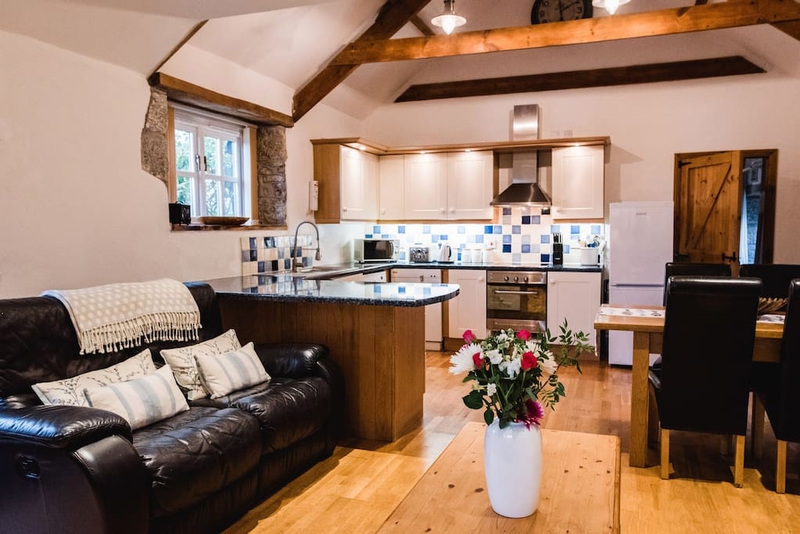 The traditional stone built barn has been tastefully converted to a high standard, retaining much of it original charm that has been subtly blended with the convenience of modern living. 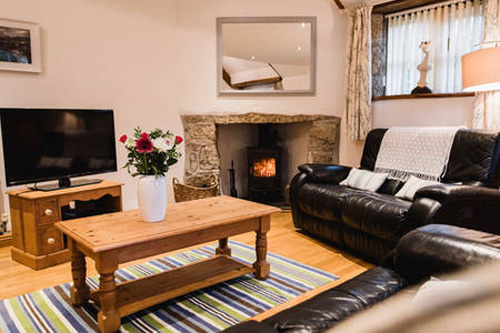 The light, airy and spacious holiday accommodation offers a totally relaxing environment, by combining a minimal style with features such as solid oak and marbled floors, beamed ceilings and an inglenook fireplace. Although the holiday cottage is neatly tucked into its rural location, there is a convenience shop & garage, within ½ mile, a village pub and major super store within 3 miles, with Falmouth and Truro being 5 and 10 miles respectively. Lounge: Oak flooring, inglenook fireplace, reclining leather sofas and views over the surrounding countryside. Kitchen: Large and well stocked, fitted shaker kitchen, incorporating a breakfast bar and appliances. Diner: Overlooking the garden the diner has oak furniture and a plentiful supply of simple white porcelain crockery..
Bathroom: A simple white suite and chrome fittings have been elegantly fused with heated, marbled floors and tiled walls; either relax in a deep bath or take an invigorating drench shower. 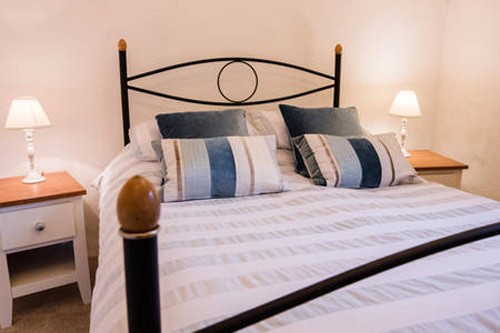 Bedrooms: This 2 bed roomed property will comfortably accept 4 adults Both rooms have ample storage and hanging space and all beds are dressed with crisp white linen. Gardens: The spacious Gardens are on two levels and private. The grounds offer ample parking and turning space for 2 cars and storage facilities for sports equipment. The gardens comprise of a lawned area surrounded by maturing shrubs, a patio area for BBQs and alfresco dinning and a reading area where you can idle your time away in the thyme garden. Garden furniture and BBQ pits, private off road parking, central heating, washing machine, dishwasher, fridge freezer, crockery, kitchen equipment, client selectable electronic safe, TV, stereo, drench shower, bath, shaving point. 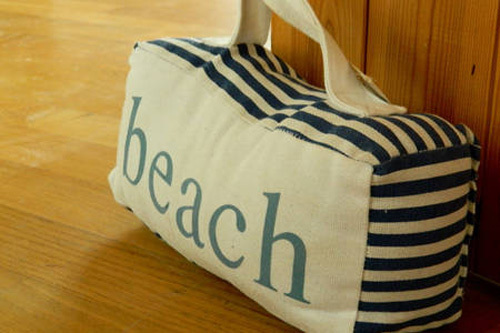 Towels and linen will be provided please bring your own beach towels. A selection of board games. Cornwall is a versatile county with a variety of leisure activities on offer, from rest, peace and tranquillity to the adrenaline rush of extreme sports. 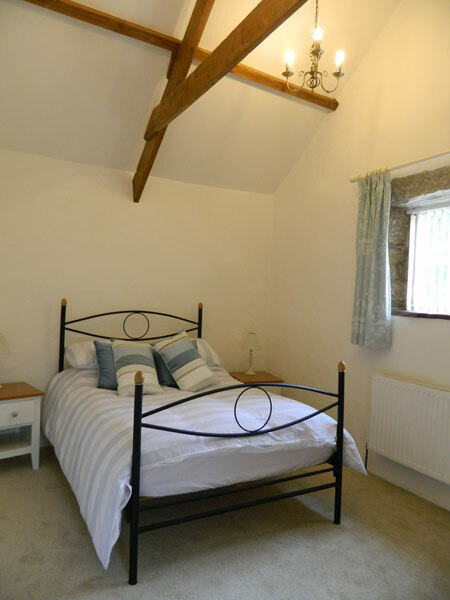 Thyme cottage is within easy reach (a short car journey) of the majority of all major attractions, a full and detailed list of what is on offer is available at the cottage, a sample of what is on offer is shown below. 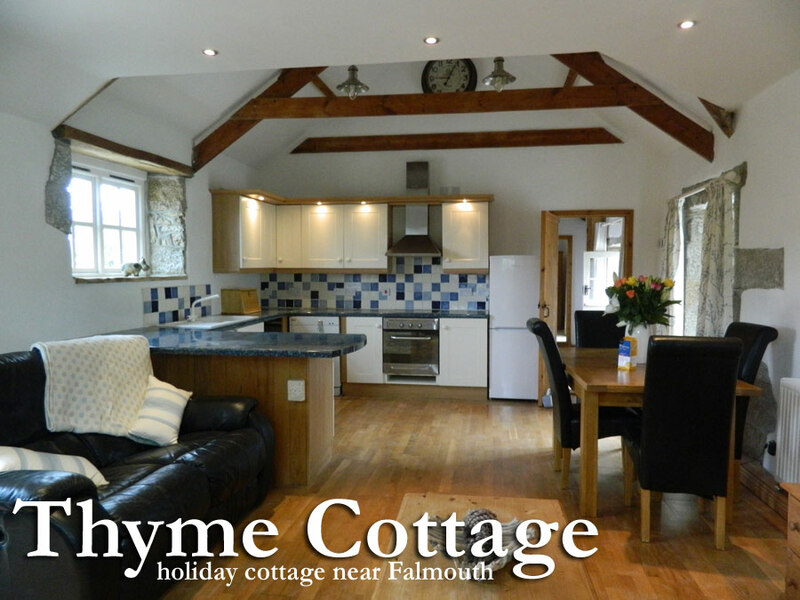 The Local vibrant town of Falmouth and the immediate area boasts a wide variety of restaurants to suit all pallets and price ranges, further details are held with the cottage. Luxury Short breaks available from £50 per night for the cottage enquire for a quote. Prices are based on a weekly rate and inclusive of VAT, utilities and linen. A 25 % deposit is payable in advance to secure the booking, with remainder payable 4 weeks prior to arrival. Clients are advised to arrange their own insurance to safeguard against late notice cancellations; insurance details are available upon request.